The Top Cut Restaurant in Center Valley turned the third floor of the existing restaurant into a standalone dining facility. The existing outdoor patio area was enclosed to create additional dining space for this high-end dining establishment. Features include walk-in wine vault, central bar, and open kitchen. The 3,000 square foot space provides views to the shops below and the mountains in the distance. Designing mechanical and plumbing systems in the existing space provided challenges due to space limitations and location of existing utilities. Architectural design is by Howard Kulp Architects, PC. Centennial School District acquired an existing 31,580-SF building to renovate into a district administration and conference center. 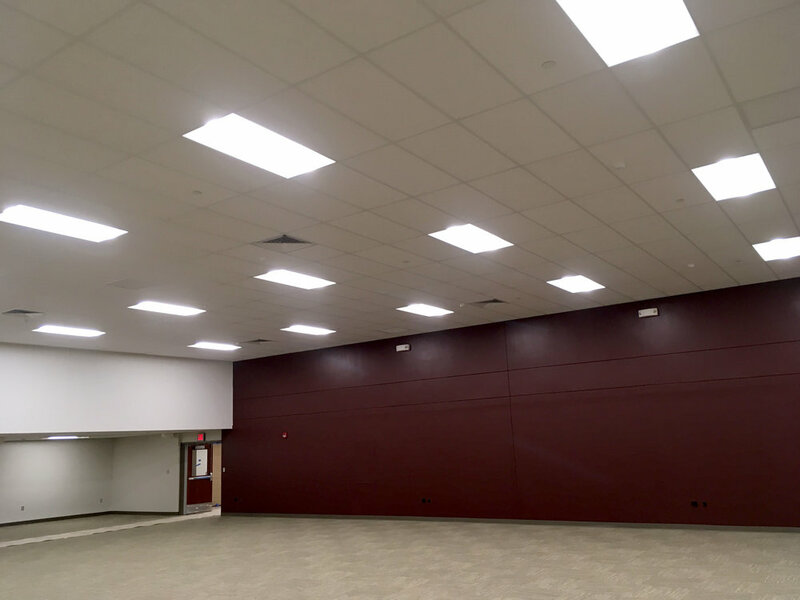 The space was programmed to accommodate classrooms, conference rooms, the district board room, tax office and the district’s administration offices. The base bid design relied on maximizing the original mechanical infrastructure, but the alternate design upgraded the equipment for energy efficiency. Architectural design was done by Crabtree Rohrbaugh & Associates – Architects. Faith Church in Allentown, PA, added 42,000-SF of auxiliary space--replacing temporary trailers on-site and providing three stories of additional space. The $6 million project allows for future expansion and includes space for a secure nursery area and children's Christian education rooms. It also houses the Youth Program, which includes a large multi-purpose lounge area. Mechanical systems and lighting were designed to balance first costs with energy efficiency and longevity. Architectural design was created by Beers & Hoffman, LLC.